Noise is an unwanted sound; its intensity (‘loudness’) is measured in decibels (dB). The decibel scale is logarithmic, so a three-decibel increase in the sound level already represents a doubling of the noise intensity. For example, a normal conversation may be about 65 dB and someone shouting typically can be around 80dB. The difference is only 15 dB but the shouting is 30 times as intensive. To take into account the fact that the human ear has different sensitivities to different frequencies, the strength or intensity of noise is usually measured in A-weighted decibels (dB(A)). It is not just the intensity that determines whether noise is hazardous. The duration of exposure is also very important. To take this into account, time-weighted average sound levels are used. For workplace noise, this is usually based on an 8-hour working day. What problems can noise cause? Being a causal factor in work-related stress. Hearing loss: Excessive noise damages the hair cells in the cochlea, part of the inner ear, leading to loss of hearing. "In many countries, noise-induced hearing loss is the most prevalent irreversible industrial disease. It is estimated that the number of people in Europe with hearing difficulties is more than the population of France. Physiological effects: There is evidence that exposure to noise has an effect on the cardiovascular system resulting in the release of catecholamines and an increase in blood pressure. Levels of catecholamines in blood (including epinephrine (adrenaline)) are associated with stress. Work-related stress: Work-related stress rarely has a single cause, and usually arises from an interaction of several risk factors. Noise in the work environment can be a stressor, even at quite low levels. Increased risk of accidents: High noise levels make it difficult for staff to hear and communicate, increasing the probability of accidents. Work-related stress (in which noise may be a factor) can compound this problem. Anyone who is exposed to noise is potentially at risk. 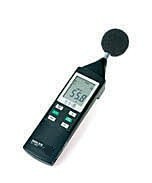 The higher the noise level, and the longer you are exposed to it, the more risk you have of suffering harm from noise. In manufacturing and mining, 40% of employees experience significant noise levels for more than half of their working time. For construction, the proportion is 35% and in many other sectors, including agriculture, transport and communications, the figure is 20%. It is not only manufacturing and other traditional industries where noise is a problem. Noise is being recognised as a problem in service sectors such as education and healthcare, bars and restaurants. Identify the different noise-related risks in your organisation. Consider who may be harmed and how, including temporary and part-time staff, as well as workers in specific risk groups such as employees who are pregnant. Record all your findings and share them with workers and their representatives. Regularly monitor and review the effectiveness of the measures in place. The ideal instrument for daily use. 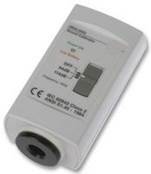 Whether it is for air conditioning or heating, disco noise, machine noise or noise in combustion systems, model 815 is the ideal partner. 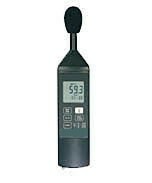 Compared to model 815, the larger model has additional features which make it ideal for assessors, workplace measurements and for measuring industrial and environmental noise. Complying with the Health and Safety at Work Act.